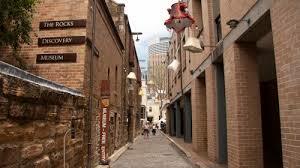 You can learn about the area’s traditional custodians, the establishment of the English colony and the time when sailors, whalers and traders made The Rocks their home; through to the 1970s union-led protests which preserved this unique part of Sydney for future generations to explore and enjoy. Inside The Rocks: The Archaeology of a Neighbourhood. Sydney: Hale & Iremonger, 1999. 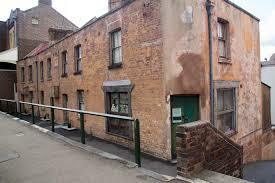 The Rocks: Life in Early Sydney. Carlton, Victoria: Melbourne University Press, 1997. Thalis, Philip, Historic Houses Trust of New South Wales, and University of New South Wales. Public Sydney: Drawing the City. Sydney: Co-Published by the Historic Houses Trust of New South Wales and Faculty of the Built Environment, University of New South Wales, 2013. Kit Devine is building an immersive and interactive virtual model of the Sydney Rocks that covers the period from 1788 to 2010. Anchorage, Alaska, they have a GPS tour on this web page. Click on it and it takes you to a map where you can select areas and look at the history – link. historypin – A global community collaborating around history. City of Sydney, Statement of Environmental Effects for MLC Centre Activation Project: Castlereagh Street, King Street and Lees Court for Digital Projection and Temporary physical Art Works.